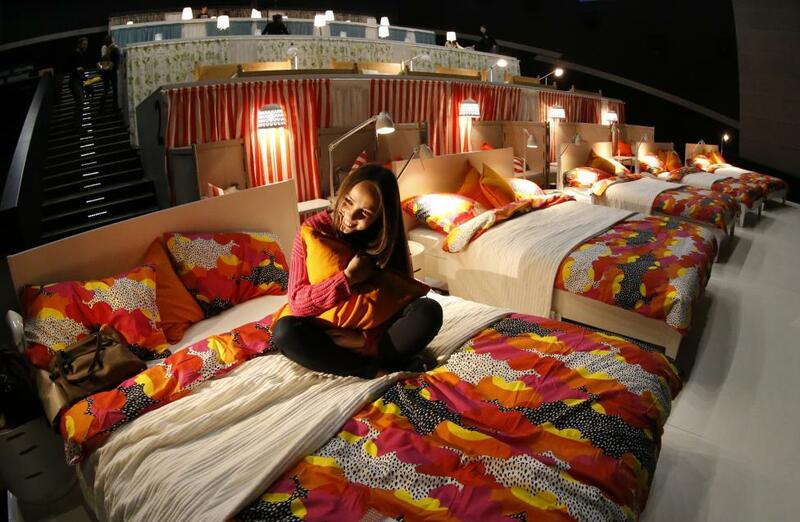 ROMANTIC SET-UP: Swedish furniture company Ikea provided 17 beds to the cinema to create a dreamy ambience for patrons. What happens when you have to choose between staying home in bed and going out for a night at the cinema? The Ikea branch in Moscow, Russia, has the solution. 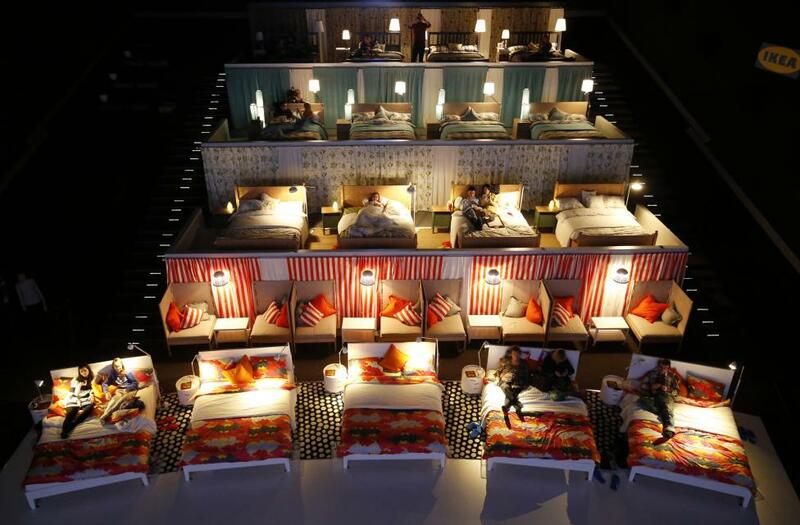 It has made it easier by opening a cinema with 17 beds instead of seats, reported Russian news channel rtnews.com. The Swedish company, famous for its ready-to-assemble furniture, has launched a campaign called the Cinema of Love in a shopping mall this month, in collaboration with Kinostar de Lux cinema. The organisers of the project said that they were inspired by the idea of bringing people together. IKEA converted one of the cinema halls in a multiplex in Moscow, completely replacing standard seats with their bedroom furniture. Spectators await the start of a cinema screening at a Kinostar De Lux Multiplex in the Moscow suburb of Khimki, December 7, 2014. Spectators await the start of a cinema screening. 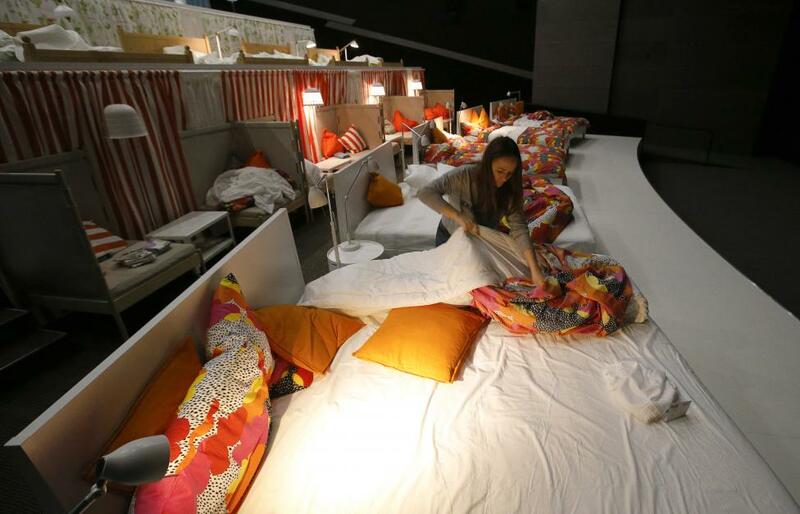 An employee changes bedsheets before the start of a cinema screening. A man takes a picture of a woman as they await the start of a cinema screening. Russian Ikea's digital manager Alex Ovechkin told the media: "At the presentation of the new Ikea catalogue, we asked visitors - what should we do to have more love around us? "One of the most frequent responses was 'to spend more time together'. "Thus, was born the idea of creating a home environment in a movie theatre." 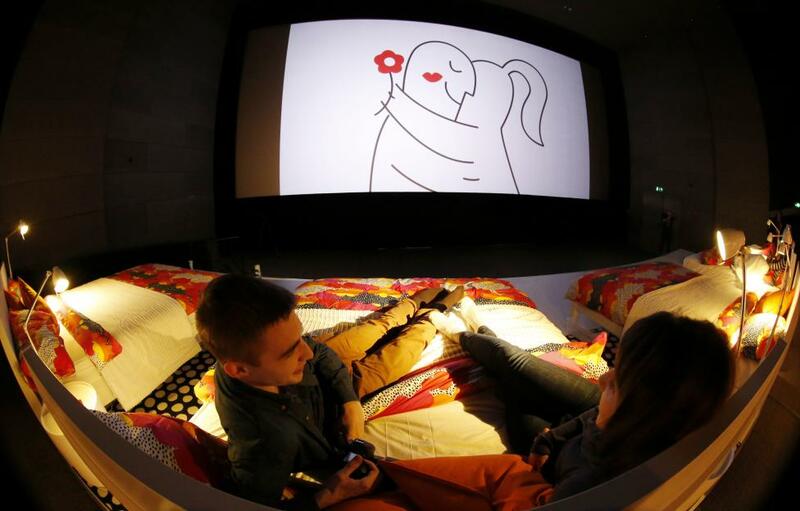 Tickets for the bed cinema are around 150 rubles (S$2.90) for an afternoon show. It is double if a patrons wants the bed all to himself. 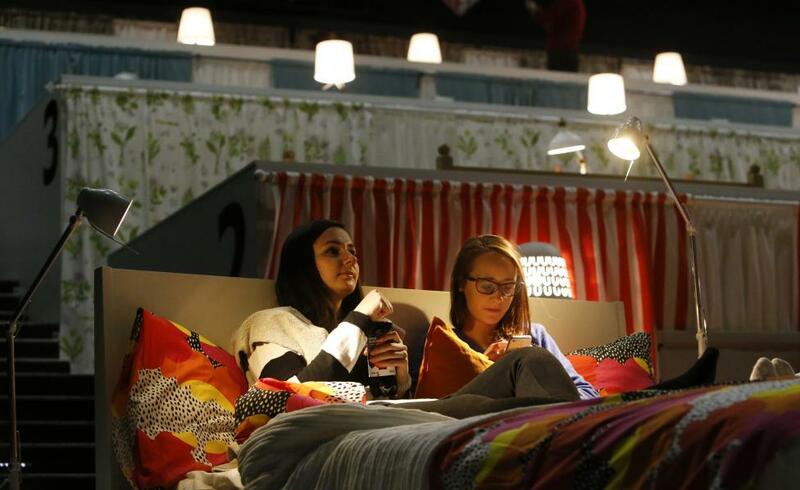 Many who have already visited the Ikea cinema have said on Twitter and Instagram that they enjoyed the experience. 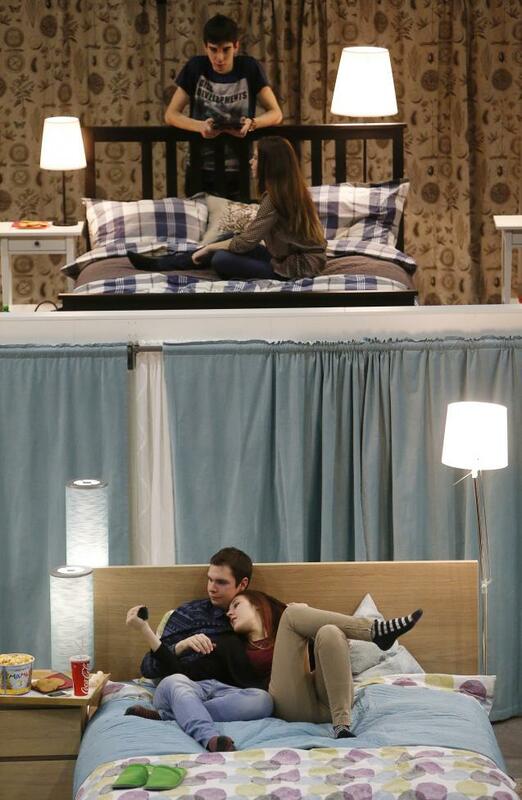 The project, though, is not the first time Ikea has tried to recreate all the comforts of home in a cinema. 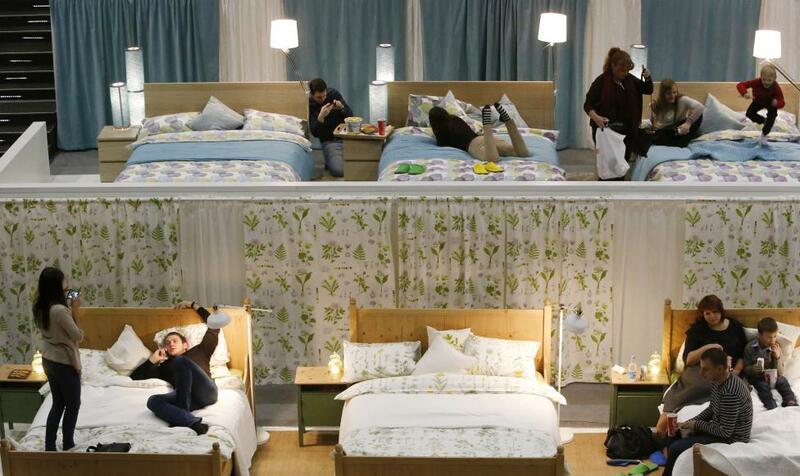 A few years ago, Ikea filled the Parisian music hall Olympia with beds to promote the company's new line-up of mattresses. But it was only a one-time deal. The idea is not original. In Britain, there is the Electric Cinema, which features all kinds of comfortable seating - from armchairs to sofas and beds.